(APN) ATLANTA — This article is the second in a series providing a broad overview of the Primary Election races taking place on May 24, 2016. This part will look at State Senate races for districts that encompass parts of Fulton and/or DeKalb Counties. Part One looked at State House races in Fulton and DeKalb. Candidate qualifying for Political Party Candidates, Nonpartisan Candidates, Independent Candidates, and Political Body Candidates for Primary Elections and Nonpartisan Elections was held on March 07 through March 11, 2016. A second round of qualifying for independent and political body [minor political party] candidates will begin June 27 and end July 01, 2016. Atlanta Progressive News has already sent out numerous questionnaires in competitive races and will be sending out more in the near future. Incumbent State Sen. Hunter Hill (R-Atlanta) will face Democratic challenger Jaha Howard, a pediatric dentist from Smyrna, in the General Election. Incumbent State Sen. Emanuel Jones (D-Decatur) has no opponents. Incumbent State Sen. Brandon Beach (R-Alpharetta) will face Republican challenger Aaron Barlow, an investor, from Milton in the Primary. State Sen. Mike Crane (R-Newnan) is running for U.S. Congress, the seat being vacated by U.S. Rep. Lynn Westmoreland (R-GA). Hayden Marlowe, a manager and a Republican from Newnan, will face another Republican Matt Brass, a former U.S. Congressional Chief of Staff, from Newnan in the Primary. This district includes part of Chattahoochee Hills in south Fulton. Incumbent State Sen. Judson Hill (R-Marietta) has no challenger. This district includes part of Sandy Springs in north Fulton. Incumbent State Sen. Donzella James (D-Atlanta) will face a Democratic challenger Director/Manager Tony Phillips from Palmetto in the Primary. Incumbent State Sen. Nan Orrock (D-Atlanta) will run unopposed. Incumbent State Sen. Horacena Tate (D-Atlanta) will face teacher/coach James (J.W.) Morrow Jr., a Republican from Austell, in the General Election. Incumbent State Sen. Vincent Fort (D-Atlanta) will run unopposed. Incumbent State Sen. Fran Millar (R-Atlanta) will face Paul Maner, a financial advisor from Atlanta in the Republican Primary. The winner of the Republican Primary will face Tamara Johnson-Shealey, a Democrat, advocate, and former business owner of Tucker, in the General Election. Incumbent State Sen. Steve Henson (D-Tucker) has no opponents. Incumbent State Sen. Elena C. Parent (D-Atlanta) will face Republican and former educator Kenneth Brett Quarterman, of Atlanta, in the General Election. Incumbent State Sen. JaNice Van Ness (R-Conyers) has no Republican Primary challenger. There are three Democrats running for the Democratic nomination: State Rep. Dee Dawkins-Haigler (D-Lithonia); Tony L. Collins, an engineer and health/wealth consultant from Conyers; and former State Rep. Tonya P. Anderson (D-Lithonia), a certified life coach and counselor from Lithonia. The winner of the Democratic Primary will face State Sen. Van Ness in the General Election. Sen. Van Ness won the seat in a heavily Democratic district in what was a low turnout Special Election and Run-off in late 2015. The Special Election occurred when former State Sen. Ronald Ramsey (D-Lithonia) became a judge. State Rep. Anderson gave up her State House seat to run for the Senate seat; out of eight candidates, she and Van Ness went into the Run-Off; and Van Ness prevailed, in a surprise upset. 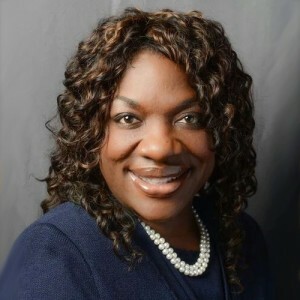 When Rep. Anderson had given up her House seat, another Special Election was scheduled to run concurrently, in which State Rep. Doreen Carter (D-Lithonia) was elected. Incumbent State Sen. Gail Davenport (D-Jonesboro) will run unopposed. This district includes part of Atlanta. Incumbent State Sen. David J. Shafer (R-Duluth) will run unopposed. This district includes part of Johns Creek in north Fulton. Incumbent State Sen. Gloria Butler (D-Stone Mountain) will face Republican challenger Annette Davis Jackson, a businesswoman from Lilburn, in the General Election. Incumbent State Sen. John Albers (R-Roswell) will face the winner of the Democratic Primary between Akhtar Sadiq, a business consultant, from Roswell, and Patrick Thompson, a businessman from Roswell.